We thought it best to share this information with our newsletter audience of 100,000 that may have missed it on Facebook. This is what I posted along with all of the responses. The Dallas Morning News just ran an interesting story on the heavy rains driving the snakes out. 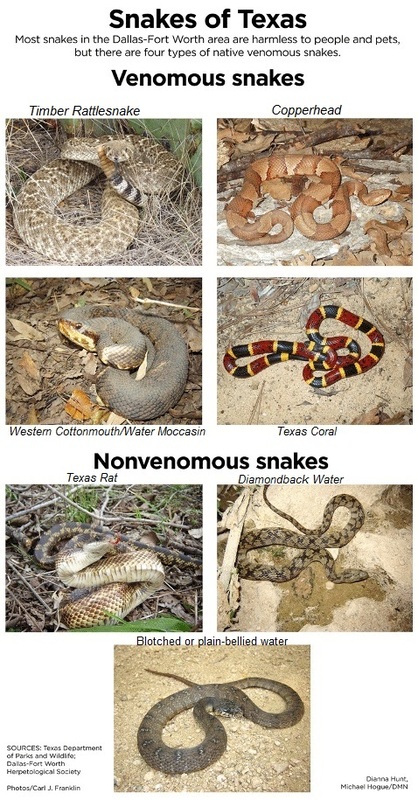 The photos are helpful for understanding the ID of the poisonous and non-poisonous ones. Jennifer Nelson - And they kill chickens, steal eggs, and kill rabbits that is all bad for my farm. We see a snake it is dead. I don't care what kind it is. Daryl Sprout - I really like this post and I'm so glad people are talking about it. 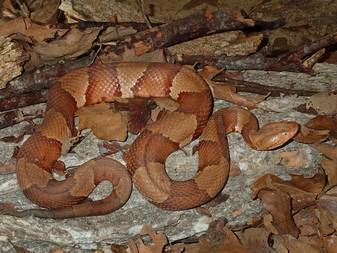 Look carefully at the body shape of the cottonmouth, rattlesnake and copperhead. Wider in the middle than anywhere else. Rat snakes are fat but more evenly so the full length except for the taper at the neck and tail. Water snakes have big round pupils and clearly demarcated lip scales, while the cottonmouth has tiny facial scales so it's harder to tell where exactly his mouth opens. Water snakes look like their mouths have been sewn shut. Carrie DeBord - I hope people leave the snakes alone and not hurt them. The snakes will take care of the rodents that will also be coming to higher, dry ground. Rachel Backes-Welch - Please don't kill a snake just because it's there. They remove vermin and are an important part of our ecosystem! P.S. A great Father's Day gift is a membership to the Organic Club of America or a donation to The Texas Organic Research Center. TORC’s mission is to stop the broad scale use of toxic chemical pesticides and fertilizers and to develop natural organic programs that work better in every way.